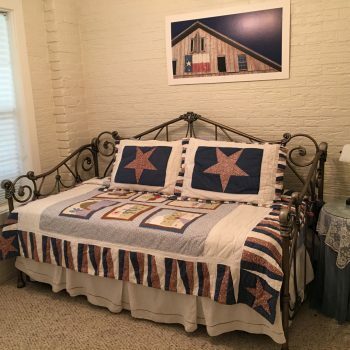 Our historic home proudly provides large and small group bed & breakfast accommodations to the guests in College Station, Bryan, and Brazos Valley. We are an Aggie-owned and operated. 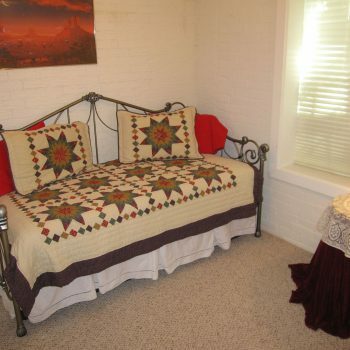 Please take a look at our accommodations for your stay. 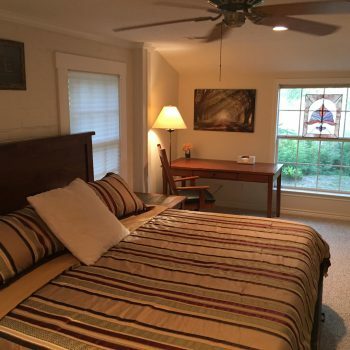 Nestled behind a thicket of bamboo and surrounded by majestic oak trees on the high bank of the Brazos River is a Bed and Breakfast like no other in the Brazos Valley. 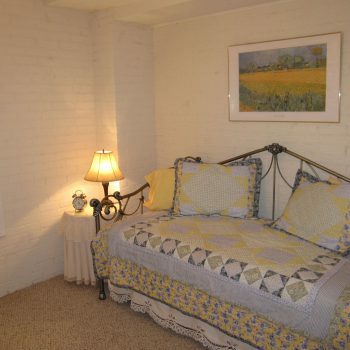 Once a carriage house built to accommodate guests to the estate, Seven Oaks has been beautifully renovated to provide all the modern conveniences to ensure a comfortable stay while retaining its historic charm. 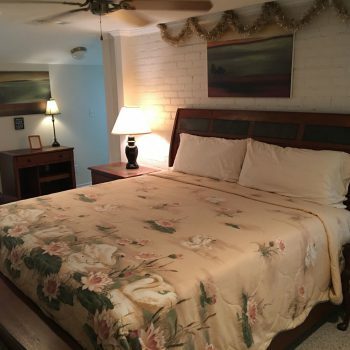 Both the Main and Guest House have been improved with the addition of modern conveniences such as satellite TV, internet and central heating and A/C. 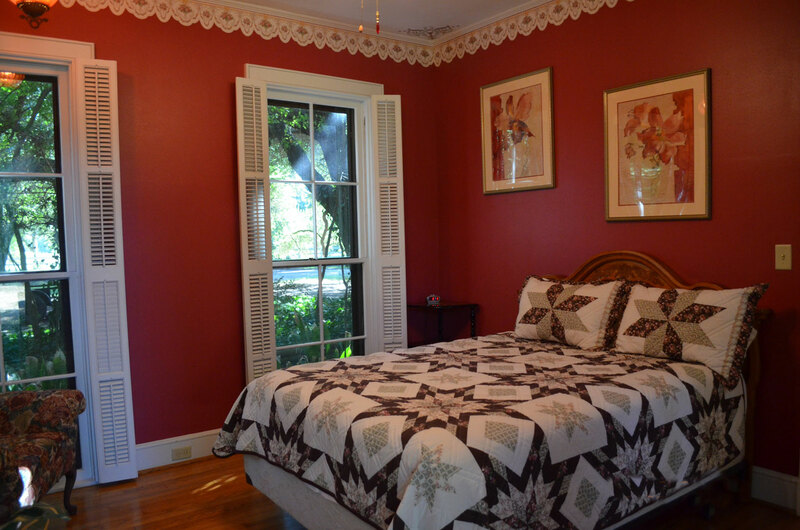 The Riley family lives in the main house and the guest house is available for bed and breakfast guests. 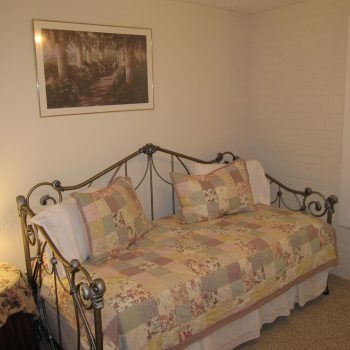 From a bar and brothel to a bed and breakfast, the estate is appropriately called Seven Oaks Bed and Breakfast. 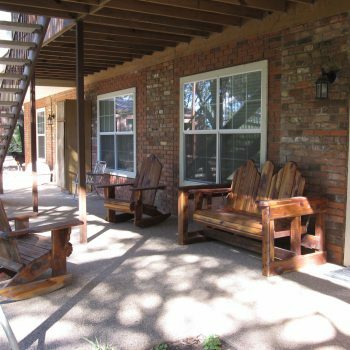 Conveniently located 15 minutes from Texas A&M University campus and close to the cities of College Station, Bryan, and Caldwell, Seven Oaks offers a relaxing, secluded environment to gather with friends or family of large and small group accommodations. 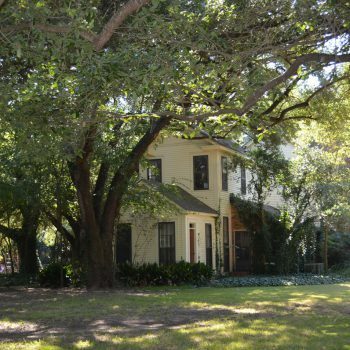 In the early 1900’s, the Moorings were a very prominent and successful family in the Brazos Valley. Ward Mooring owned several thousand acres of rich Brazos Bottom farmland, where his family successfully farmed and marketed cotton and other crops. 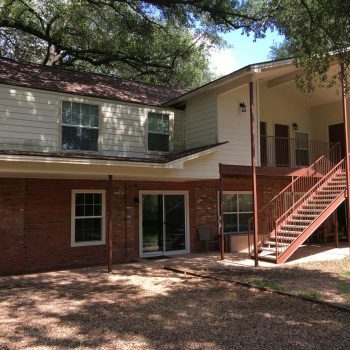 In 1940, Ward Mooring hired the architectural firm of John-Astin-Perkins out of Dallas, Texas and had an estate plan prepared to build a beautiful, lasting home and estate near Highway 21 on the high bank of the Brazos River. Detailed architectural designs were completed for the attractive Mooring House in 1942, including a Carriage House with six bays on the first floor for vehicles and equipment and apartments above for visitors and hired help. After World War II, the Mooring House enjoyed a number of “glory years”, providing an exclusive place to live and entertain the social elite. After Mr. Mooring passed away, modifications were made to the Carriage House to convert the garage bays to an enclosed multi-use area. But the wild times had just begun. Beginning in 1968 and lasting until the mid 70’s, the Mooring House and grounds were used regularly as a brothel, bar and gambling house. Some Bryan residents still remember but rarely discuss the wild “invitation only” gatherings that were regularly held on site. A Bryan resident who worked at the “Castle” as a boy tells of regularly seeing the local sheriff show up just long enough to collect his pay for making sure the parties could continue as a private affair. 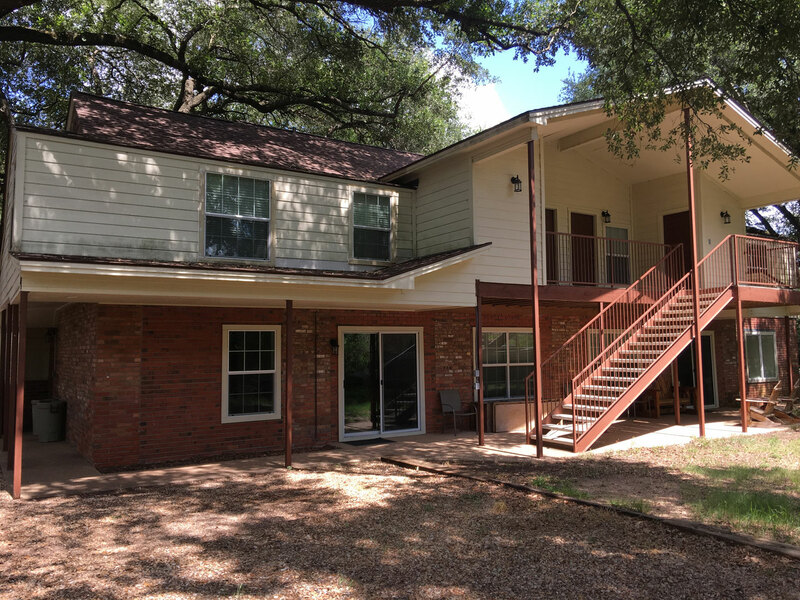 For a short period of time after serving as a brothel and gambling house, the home was opened as a private bar and restaurant named Seven Oaks and then served again as a residence. 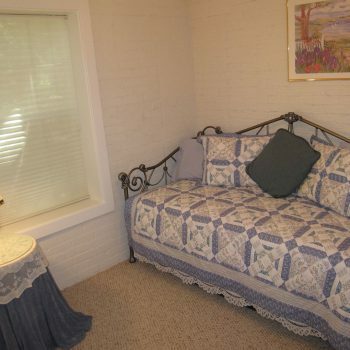 After several years of quiet use as a personal residence, the home and property was purchased in 2002 by Jim and Carol Riley. 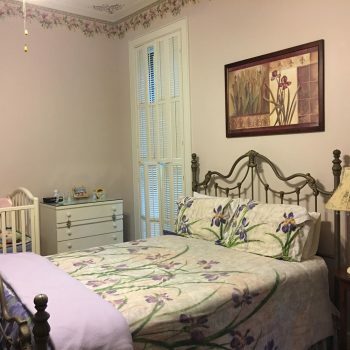 Carol worked for several years in Houston as a master photographer, but now dedicates her time to raising their children and tending to the home. Jim is a 1979 graduate of Texas A&M and works at the University as Director for Utilities. 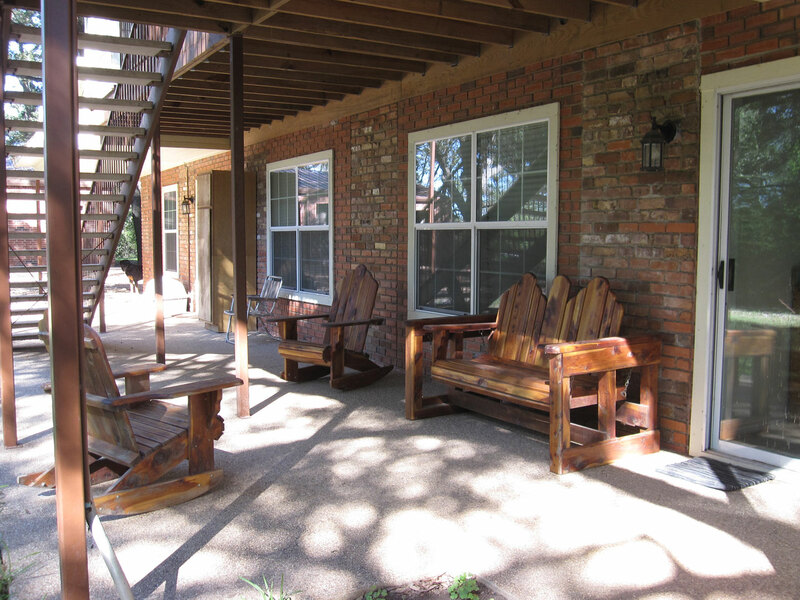 Together, they manage and maintain Seven Oaks Bed & Breakfast – welcoming guests to stay for gatherings, events or private weekend get-a-ways from College Station, Bryan, and Texas A&M University. 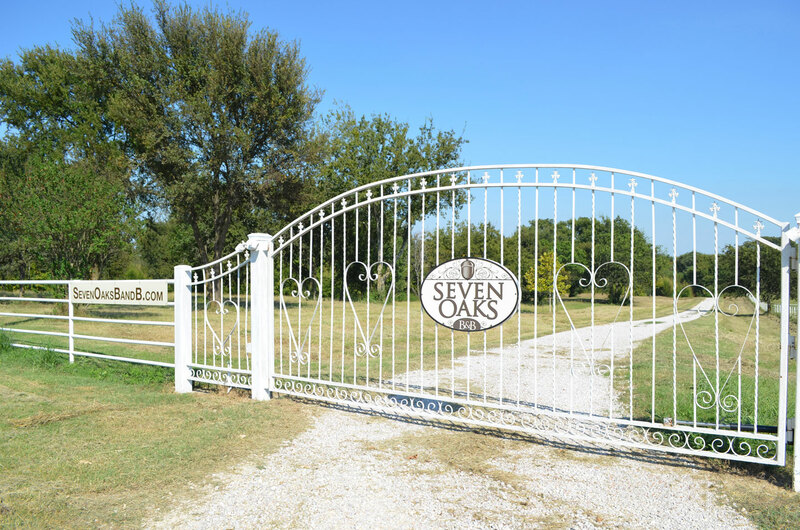 Seven Oaks has a Caldwell address, but is located just outside (west) of Bryan and College Station, Texas. When you get to the Brazos River bridge… slow down. It can be easy to miss this hidden destination! A great place–Loved the quiet. Thanks for the great breakfasts; it’s been a while since we’ve had such good food. You have a nice, clean place. Thanks again for everything. Great hosts and beautiful setting! Very relaxing! I had the opportunity to stay at your place last Sat. and the place was so relaxing and there was plenty of accomodations for the group we had. It was great to be in such a peaceful place. Your hospitality was great and your breakfast was delicious. You guys were very helpful and so nice. Thanx again for everything. Absolutely loved it. 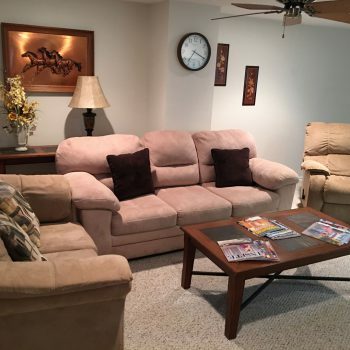 We have accommodations for just about any group. Ribbon button label:Click here to see all of our accommodations.Click here to see all of our accommodations.